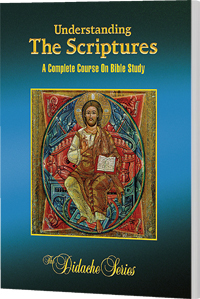 This Student Workbook is an accompaniment to Understanding the Scriptures: A Complete Course on Bible Study; it allows the student to engage the Catholic Faith through compelling and meaningful exercises. Using combinations of multiple choice, fill in the blank, and short answer questions, the student recalls and applies concepts from the textbook to their own lives. This Student Workbook has perforated pages so that students may turn in their work. It also includes a compilation of common Catholic prayers and devotions.